It’s home to some of England’s most beautiful beaches, stunning historical buildings, and most decadent cream teas. While Devon’s popularity is well known, there’s a lot more to this charming county than the guidebooks will let you in on. From award-winning beaches to intriguing galleries, read on to learn from the UK travel experts at Coast and Country Hotels about the best way to enjoy a weekend in Devon. Getting to Devon is easy. Exeter and Plymouth, the county’s two biggest towns, are connected with London by rail. Trains depart from Paddington on the Cornwall line and take approximately 2½ hours to reach Exeter and 3½ hours to reach Plymouth. Devon is also easy to reach by private car. The M5 terminates in Exeter, making it easy for visitors from Bristol and elsewhere to access the county. North Devon is served by the A30, which also allows visitors to travel onwards to Cornwall. Finally, Devon is easy to reach from further afield by air. Flights arrive in Exeter International Airport from Paris, Frankfurt, and Amsterdam, as well as several British population centres. Opened in 1400, Exeter Cathedral is a great example of Norman-Gothic architecture in England’s South West. This remarkable building is known for its incredible vaulted ceiling, which is the longest of its type in England. Plymouth’s historical waterfront district is incredibly picturesque. Largely spared from destruction during the Second World War, the Barbican still looks the same as it did when Plymouth was a 16th century fishing port. Voted Britain’s Best Beach by the Mail on Sunday, Woolacombe is undoubtedly one of Devon’s best natural attractions. Pack your sunscreen and visit in the afternoon to enjoy a quick swim before watching the sunset. Open since 1997, the Brook Gallery has grown into one of Devon’s best known and highly acclaimed art galleries. The gallery is known for its limited edition art prints, all of which are available to purchase. 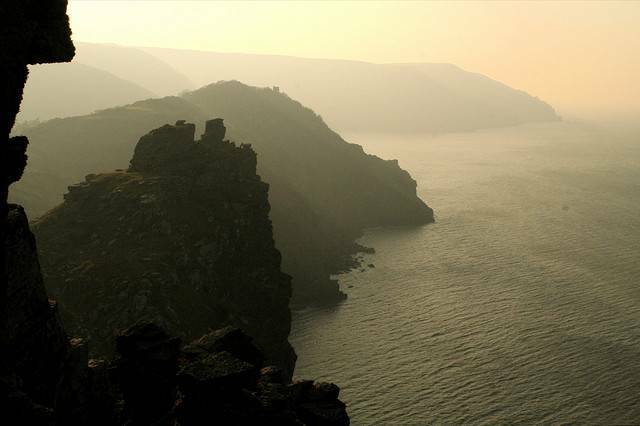 Famous for its fossils, the Valley of the Rocks is an incredible dry valley formed by a combination of glacial movements and coastal erosion. The valley is a truly stunning sight, particularly in the early morning or late afternoon as the sun is setting. From coastline to culture, Devon is home to a wonderful range of places to go, things to do, and sights to appreciate. Learn more about weekend break offers from Coast and Country and plan your Devon holiday today.